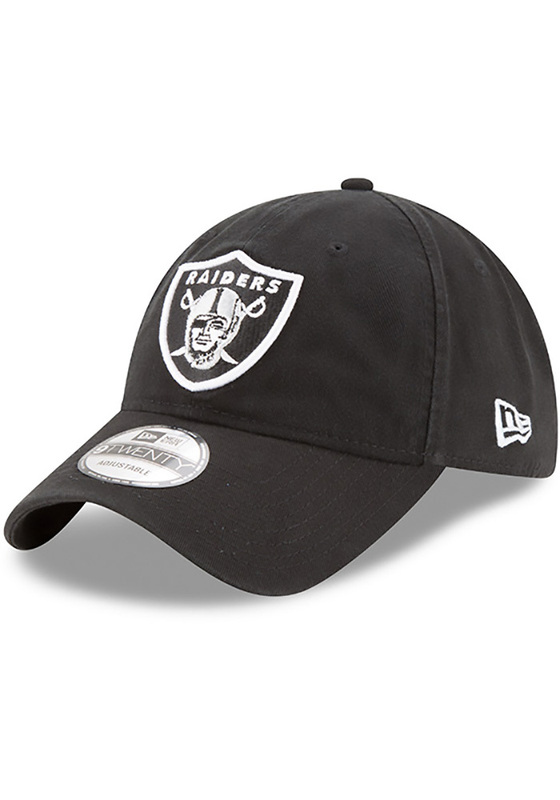 This Oakland Raiders Black Adjustable Hat features a team logo embroidered on the front. 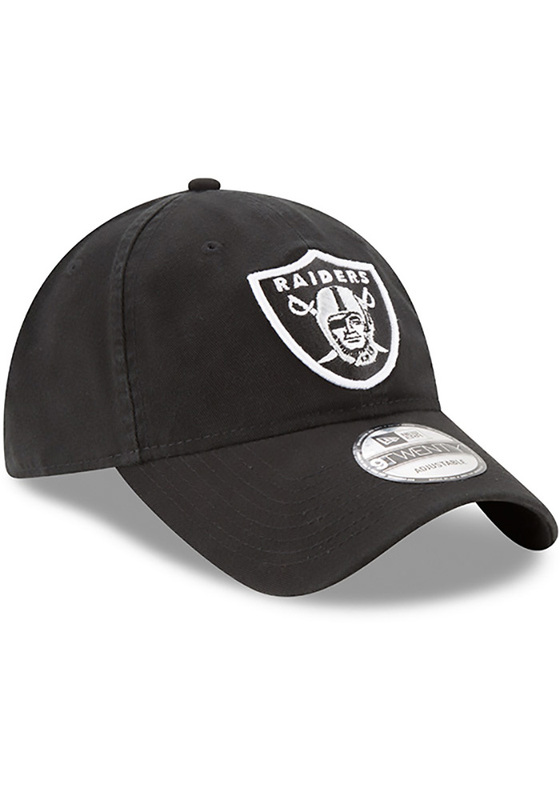 The adjustable hat completes the perfect outfit on gameday. 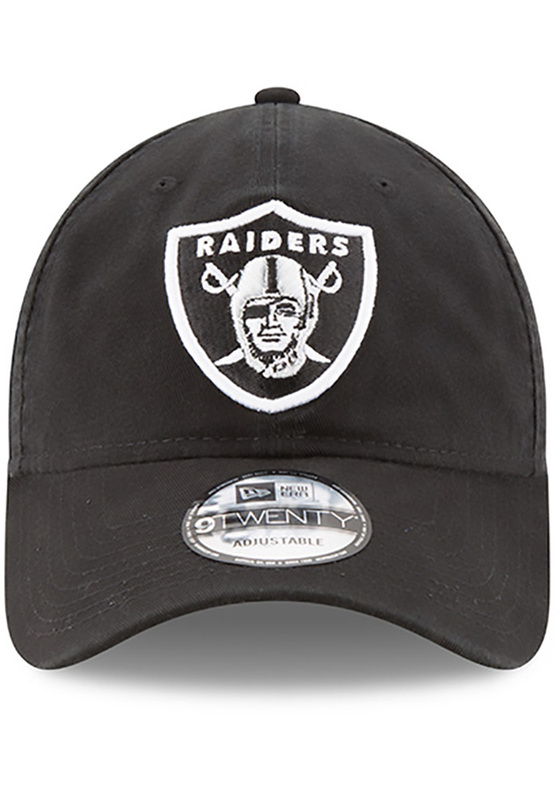 Go Raiders! Glad I got this cap! I love the material as it is very soft and comfortable. Also love the adjustable belt in the back for maintaining size instead of the elastic types that eventually stretch out of shape permanently. The logo is beautiful and very well done, and is very thick...about 3/32". For the price, this cap is more than worth it, very happy, thank you! Great fit and good quality. 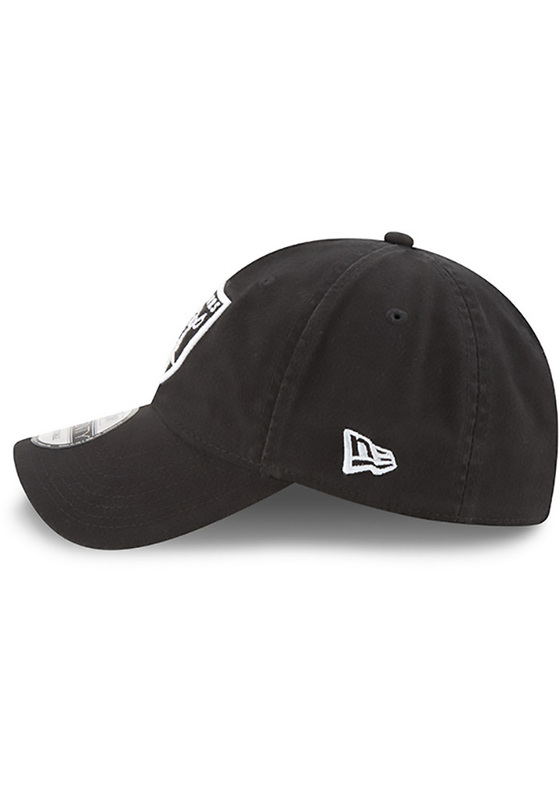 I love the new era brand and the throwback look of this cap! It is also very comfortable and easy to adjust. Great New Era fit and classic throwback Kansas City look. My husband is on his second one. He wore the first one out. It's his daily hat, and he loves to wear it on the golf course. 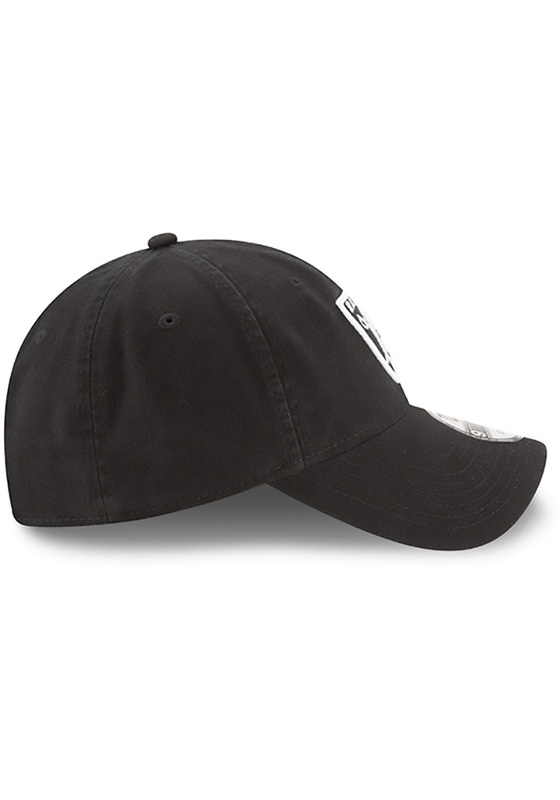 I am normal a 59FIFTY guy, but every now and then I like to rock a dad cap. 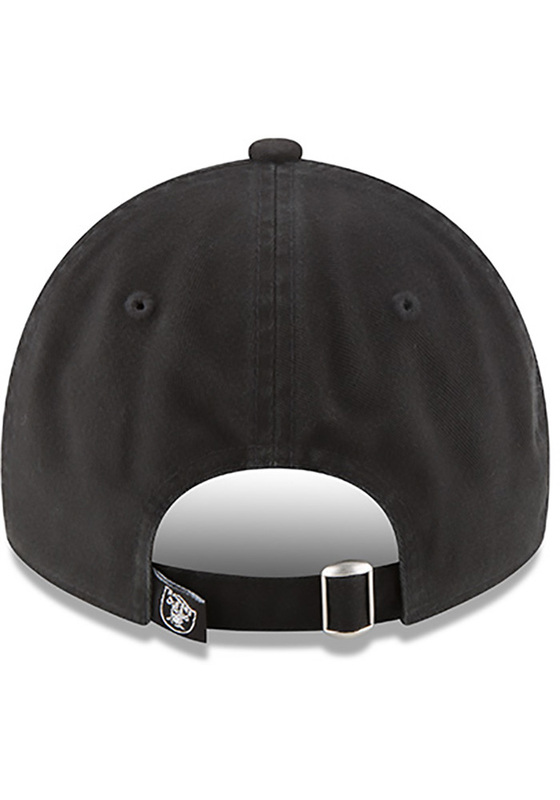 Some adjustable hats don't sit deep enough on my 7 1/2 sized head but this one falls nicely just above the ears. Great hat! Fits well and is very comfortable!